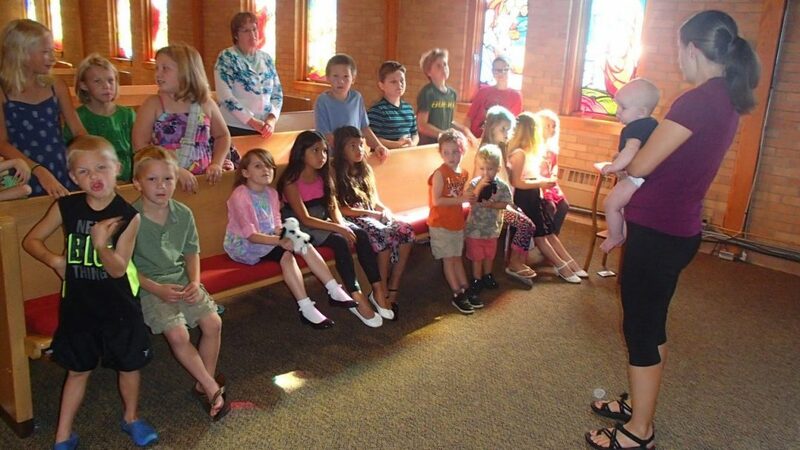 Every Sunday during the normal school year, our children begin their education hours in our sanctuary under the direction of one of our Sunday School leaders. They learn about worship, sing songs, and learn about prayer. This service lasts about 15 minutes after which the children are taken to their age-specific learning areas for the balance of the hour. The focus of Children's Sunday School is to teach children bible stories and scripture that they can use for the rest of their life. The educational level for the children is divided into the following age groups. Teaching materials are carefully by our Pastor and the Sunday School Coordinator. If you would like more information about becoming a Sunday School teacher or helper, please click here. Each Wednesday evening during the Family Fellowship time for education, we have a special time for the children through 6th grade under the leadership of Angela Sprick. A little time for little people! Join at 5:30 to 6:15 on Wednesday. Then off to dinner that is prepared by church! For Kindergarten thru 6th Grade. A Biblical lesson & craft activity that engages the child. All of the children's questions and comments are addressed with enthusiastic knowledge of the leaders. Open to all children everywhere. One of the major activities the children do is a nativity program in December. We believe the children God puts into our custody, for however long or short period of time, are precious to us and to the Lord. Therefore, we do everything we can to protect them at all times. To that end we have policies in place that are followed by anyone placed in charge of the children while on our premises or at a location under our auspices. If you would like to read those policies, please click here.